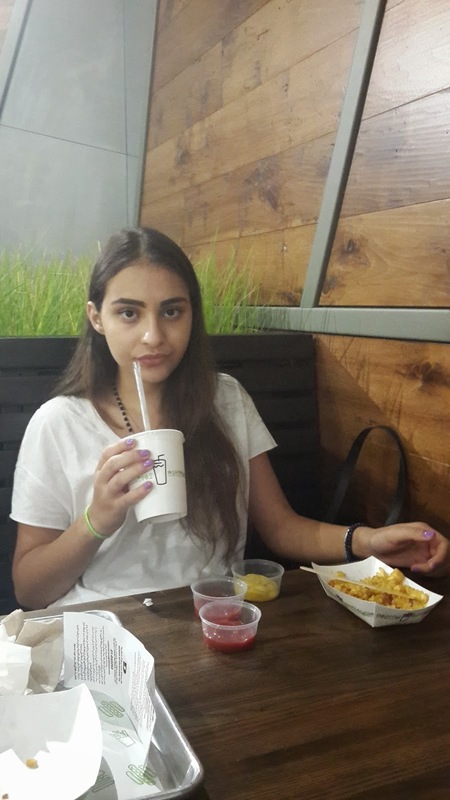 Pretty Capricieuse: Shake Shack in Lebanon! 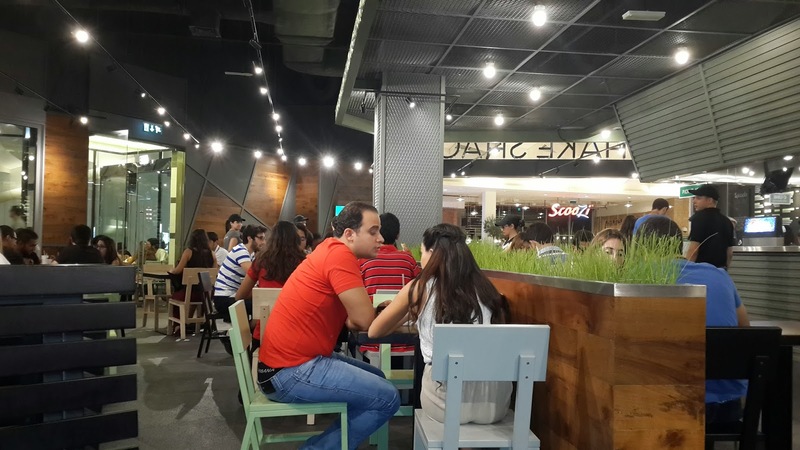 Damn I feel so stupid for not trying out the shakes during my first visit at Shake Shack, after it opened recently in City Center mall, Hazmieh!—it’s really been a few minutes I’m staring at the shakes and custards’ Google images. Next time, next time. When I heard Shake Shack opened, I thought that it was at Uruguay Street. Last time I went there, to Collins more specifically, I saw a place just at the front reserved for work in progress with a hanging poster written on it Shake Shack. That’s how I first knew about Shake Shack’s existence. Last Thursday, I went there with two other friends. We stood in the fast-moving queue, we ordered with the cash registers wearing their best smiles, we got a buzzer, we sat and we waited for a couple of minutes. We got ourselves the mustard and ketchup filled in small recipients and the mayonnaise in sachets. The sauces were Heinz I think, I could tell. Some waiters were here to help around—I was confused, is it a self-service or not? Some reviews seemed to brag about how nice the waiters were, the nicest ever and all that but honestly, I will tell you to wait a full month and see how the smiles will stretch down into bored and tired faces—though I hope not. The strength of a good customer care is not just about the first impression they give but it’s about keeping it up and even improving on that, so time will actually tell. I had the Shack burger, double patty, (17,000 L.L.) and decided to get two fries for myself with cheese and without (8,000 and 5,000 L.L) and a small refill coke (3,000 L.L. ; the large one costs 6,000 L.L.). With the view I had to the kitchen, I saw the fries boxes so small! Even, I saw something I was very depreciative of: What I saw is the guy that was in charge of giving off the orders on the assembly line REMOVE some fries from the tray because APPARENTLY there was too many? A bit from every basket and he could make up a new one already! Not too nice, right? My eyes hated to see that. Sneak-peek into the kitchen, behind the cash registers. What’s inside my burger: a double medium-cooked angus beef patty with two cheddar slices on top of each, topped with a beautiful green lettuce, tomato and ShackSauce. From the instant I bit into the burger, I definitely said it’s much better than McDonald’s or Burger King. 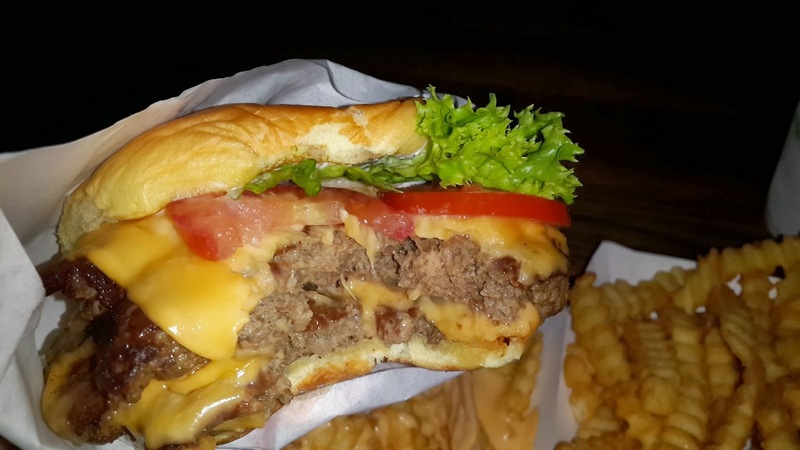 The taste of the patty and the blend with the cheddar cheese makes it perfectly soft. The fries are overrated; I would prefer them to be more deep-fried because I felt like eating diet French fries in a fast-food restaurant. Likewise, the cheese fries are a bit bland and I advise you to get the regular ones instead. At a first glance, I thought the burger looked small compared to the bigger-sized buns everywhere else but in fact, I was barely able to finish it. 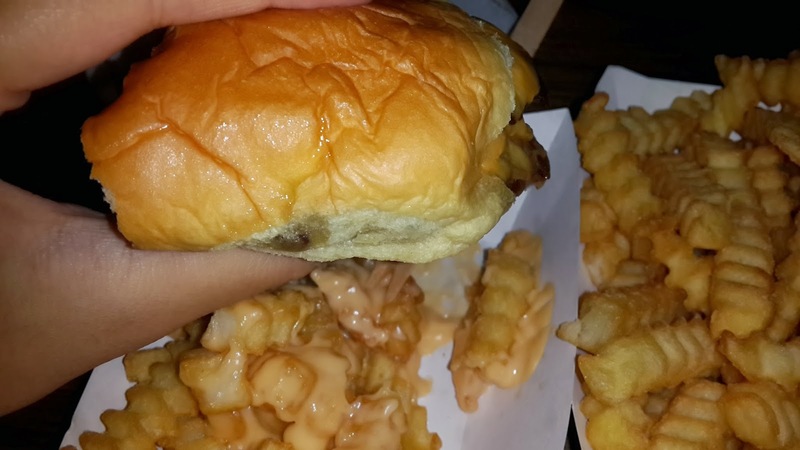 Notice how they did not cut the full bun. Very practical. 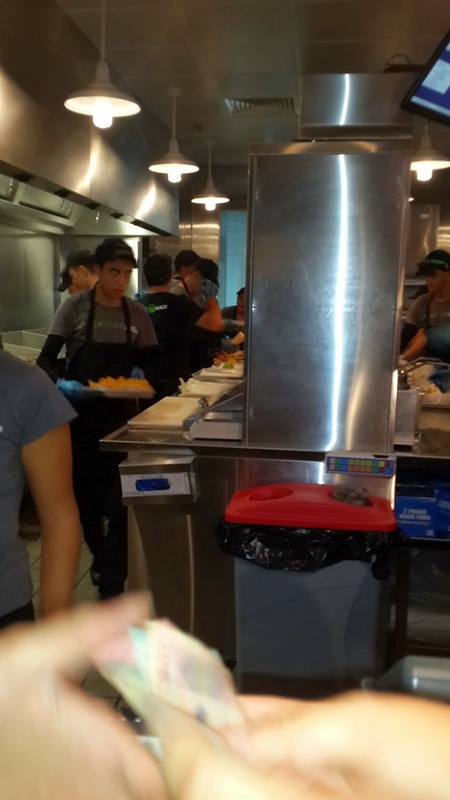 The biggest drawback of Shake Shack is the way you are offered to clean your hands afterwards. To my knowledge, everyone eats with his own hands; it’s a fast-food after all. They gave us some tissue paper, not enough; we had to get up several times to get some. In addition, they don’t have wet wipes or hand sanitizer, at worse, in sachets. 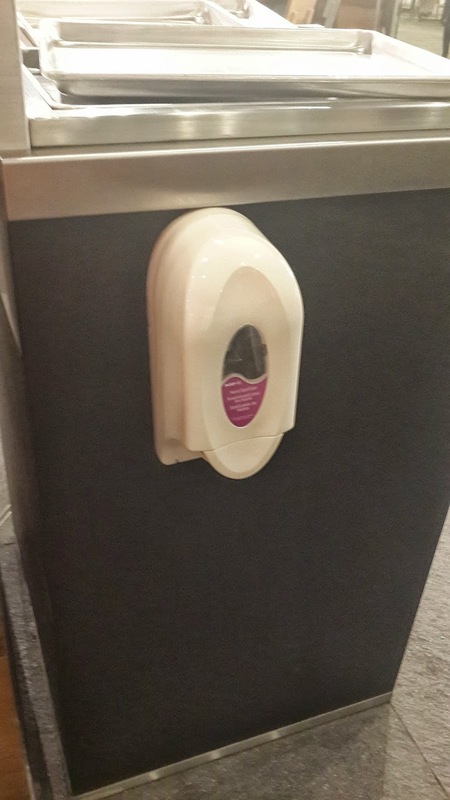 We left the table to go to the hand gel box to clean our hands that is placed on the trash can, where we threw what’s left on the tray. A way of doing like the Americans, I thought; I can imagine the way they have perceived it, a clearly mechanical designed self-service—order, eat, throw, wash. 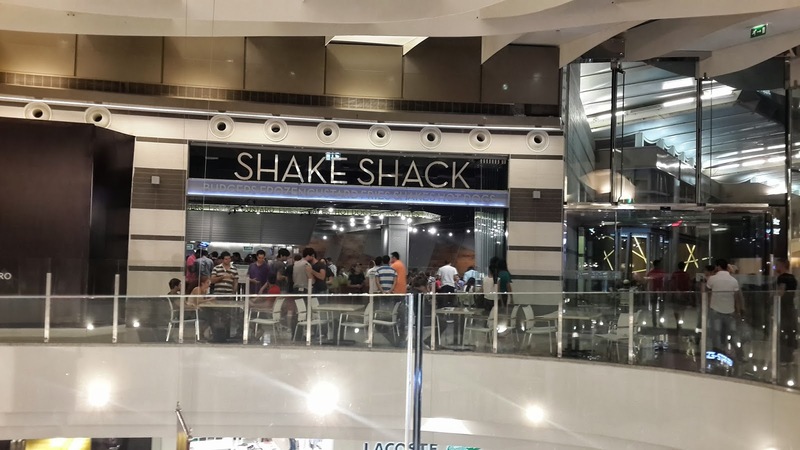 In addition to that, there is no toilet at Shake Shack but ideally, they have rented the closest space in front of the toilets in City Center. It’s a Lebanese society and Lebanese like to be pampered but if you want to have the happy waiters wandering around the tables, then it’s not really a self-service anymore. 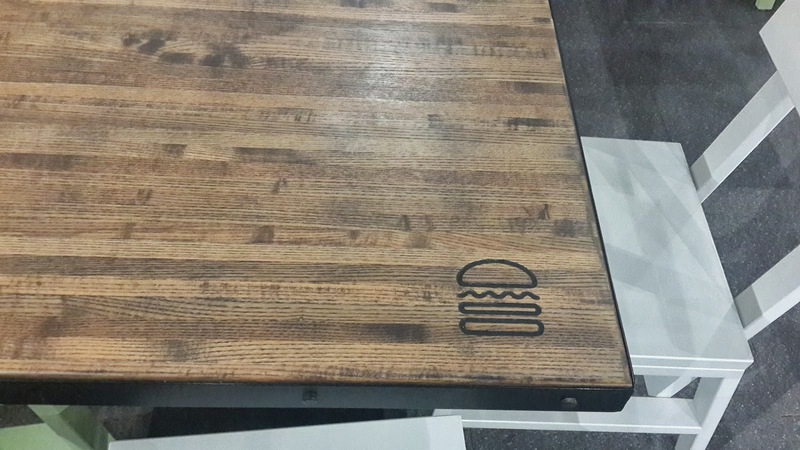 Consequently, Shake Shack needs to add changes. 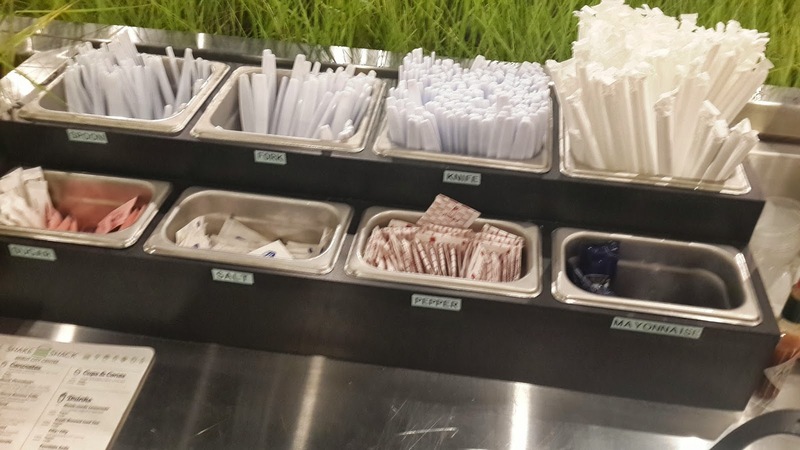 Therefore, I suggest for Shake Shack to add the availability of tissue paper on all tables above all and then I suggest the option of hand sanitizer in sachets. Because when you are there to eat their burger for a fraction of an hour it’s not very practical for the customer to get up every other minute to get ketchup/mustard/mayo or tissue paper or hand sanitizer. 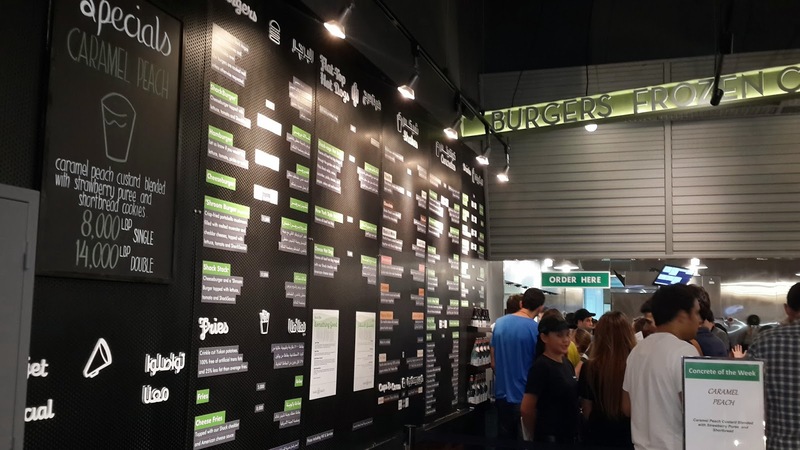 As I could have said here and there, Shake Shack is actually designed in a way to fulfill orders in a very orderly and organized manner. The room space for sitting is vast and there is outdoor seating as well. The design is very true to the spirit of a fast-food restaurant, yet more modern and dashing. 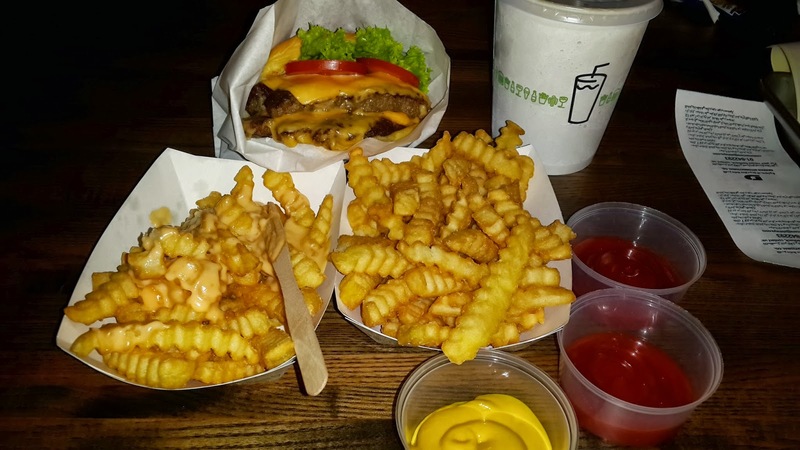 Considering the more elevated prices at Shake Shack, is the differential cost worth the taste? It’s really a matter of opinion. For me it is partly and it is more than that. I believe that the incremental cost hides an added value contributing to the maintenance and quality control of the food, the kitchen hygiene, and the highly efficient and performing assembly line which is superior to the ones I have seen before. The price is well deserved. All in all, I would definitely pay Shake Shack another visit—to try the shakes and custards at least. 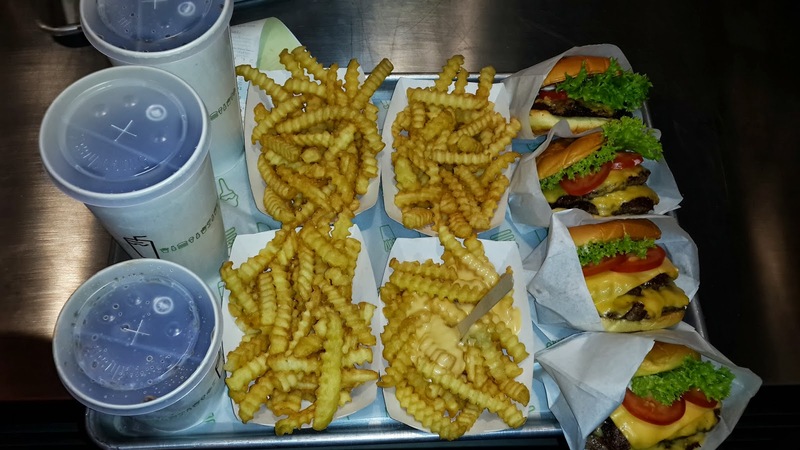 For more info about Shake Shack, visit their webpage!